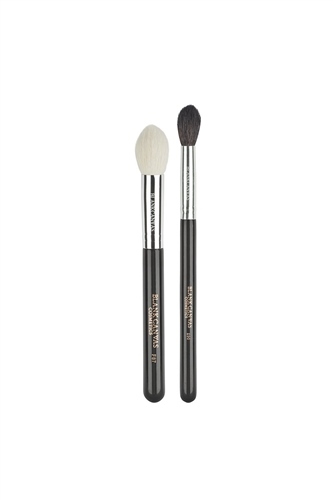 This set contains 2 face brushes for quick and easy contour application. Made from soft, high-grade goat hair fibres. The large fluffy round fibres of the F87 make this a must-have brush for any make up lover! Use this brush to apply blusher or to bronze or powder larger areas. This brush can be used with powder products. Blending obsessions! This large blender is big enough to use for highlighter, overall eye blender, contour or as a finishing powder brush.